Not on your StreetEasy or NYTimes, but on Platinum Member radar the day it came out, 91 Irving Street is a carriage house in Clinton Hill just off of Fulton Street that's begging to be decked out. Agents invited us to their first showing of the property, and we liked what we saw. Modest & totally decent as-is, we see someone making a project out of it. There’s room for that “sky’s the limit” pricing if you make something nice over here. 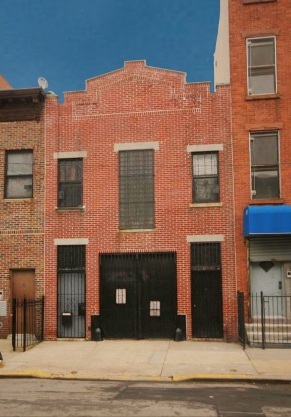 Take those adjacent carriage houses that Corcoran had asking $3M at 410-412 Waverly Avenue - and got it. Maybe you didn’t know that pimped-out brownstones fetch well over $2M just around the corner nowadays like 396 Grand Avenue, or 377 Grand Avenue, or 91 Cambridge, or even a fixer-upper like 56 Cambridge. 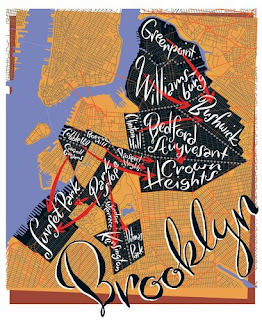 Or you thought that price was still only reserved for Park Slope? 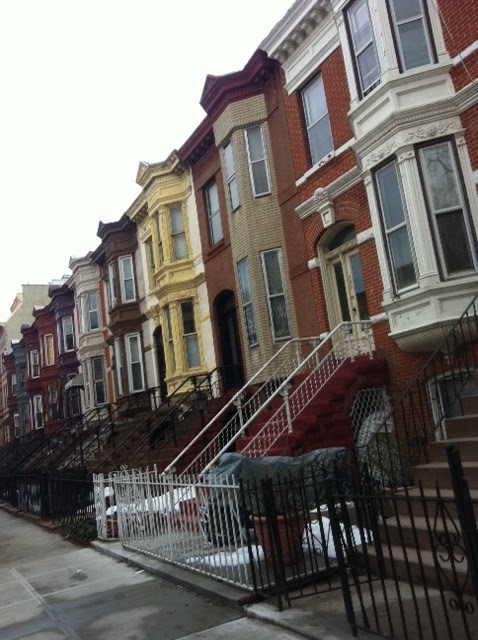 The switch from Park Slope to Clinton Hill was good enough for Vinny Chase, but some folks still don't think it's good enough for them. You know how some people in these parts think. The biggest drawback is obviously there’s no yard, but with some 3,200 buildable square feet on a 20' x 60' floor plate, you should have plenty of room to do some nice decks & skylights. The list price of $1.3M is hard to peg precisely, because we’re in end-user territory, so it's anyone's guess where this lands. 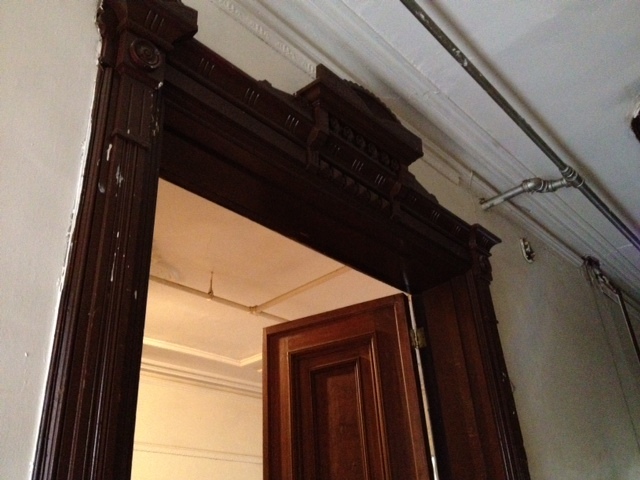 There won't BE another 71 Irving Place, so don't let that factor into your pricing. And it's not like a high-end rental is impossible here, just not likely to be profitable. Compare it to what some other carriage houses have gone for over here. Walk to single story space across the street from 71 Irving to see how quickly a little styling can bougiefy a space. 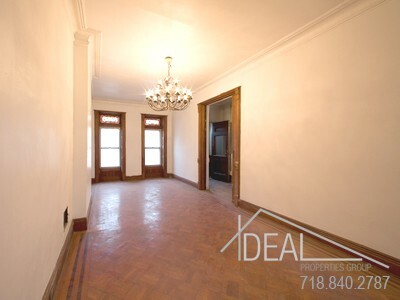 Corcoran teased ya by listing for under $1.3M, then did their "best & final" dance, and a Manhattan broker brags to us they've got the winning client. 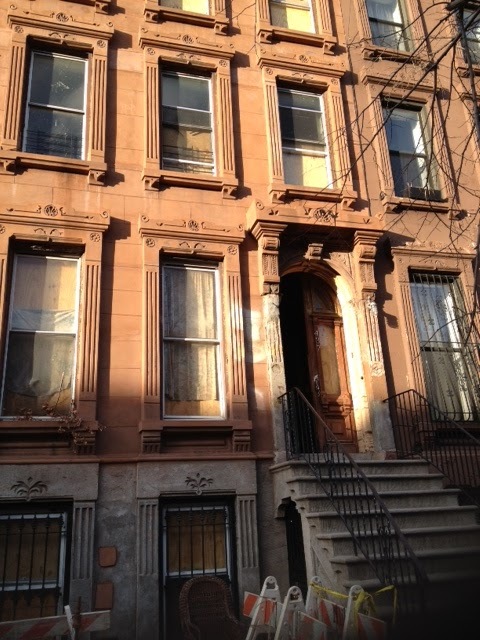 Just closed for $1.555M, and it needs a ton of work. Spare us the shock & awe routine. What'd you think was going to happen here? Besides, this has been going on for a while now. And please note, to a Manhattan-type buyer fleeing $3M-$5M fixer-uppers, the difference between $1.3M and $1.555M is like two stray dogs fighting over a chicken bone. 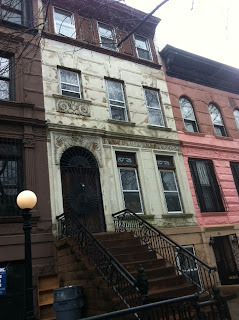 Is this why it's hard to find something under $1.5M in Clinton Hill? Yes. Is this a bubble? No. 375 would-be buyers, minus 1 actual buyer, equals 374 people that still want a house just like this. Ooops, too bad the equally-compelling gem at 148 Gates Avenue (and 108 Gates for that matter) are basically locked-up now too. 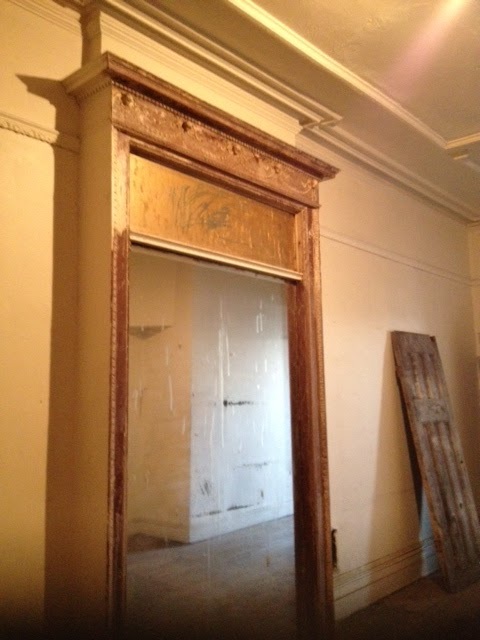 A few fixer-uppers are still out there nearby, but you've gotta know where to look. Or, get over yourself and a head a few trains stops east to where you can actually afford one of these. 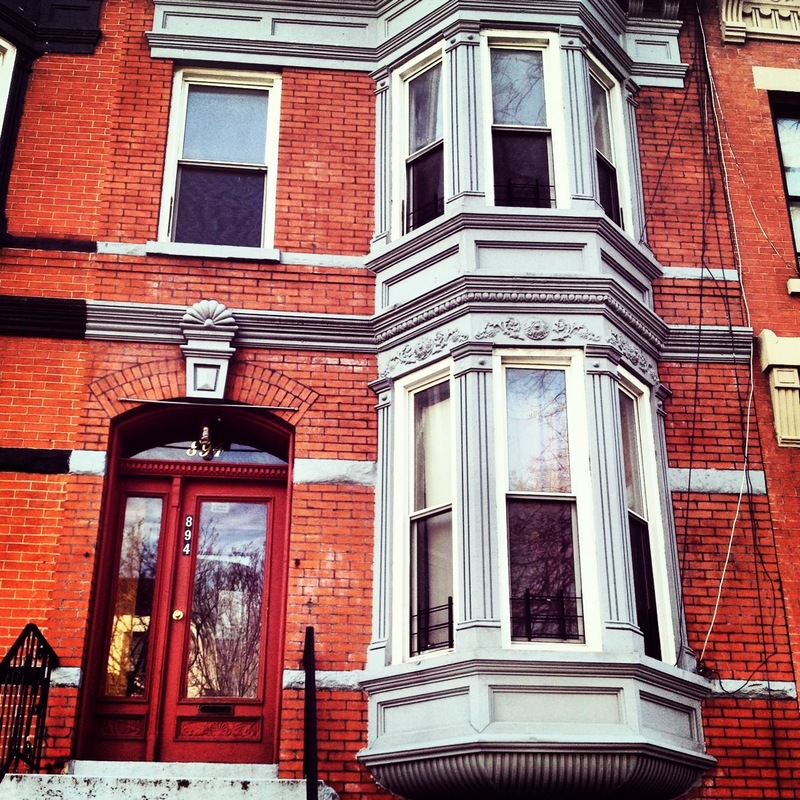 While some are still sleeping on Clinton Hill and others think they're pioneering, buyers with some seriously deep pockets are already hip to the game. 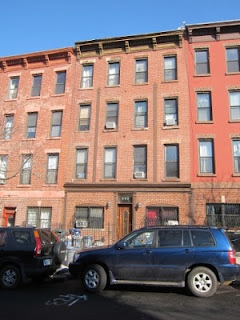 396 Grand Avenue sold for its asking price of $2.925M to a buyer on Park Avenue. Novices will call this an outlier. Pro's have seen this writing on the wall for a while now. Still don't believe the trend is up? 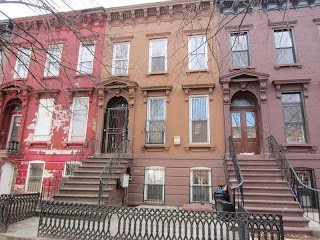 Then check out how our "first foray into Bed-Stuy proper" from just a year & 1/2 ago at 533 Greene Avenue sold a year ago under $700K, then again this year for $887K to a buyer who whiffed on 22 Arlington Place. Did we say "trending up"? Kinda like 10 Hancock Street which just sold for $945K last month and wants to flip for almost $1.4M now. People always tell us all these neighborhoods where they wanna spend $700K-$800K, but rarely are they the neighborhoods where those are realistic prices. If you actually wanna make a move, you need to move on to where the gettin's good. 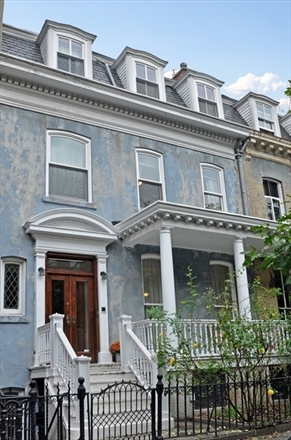 317 Decatur Street listed above $900K, but just sold for a much-nicer $777K. It took a little while, but 461 Prospect Avenue finally sold for $1.12M out in Windsor Terrace. A great value by all accounts. 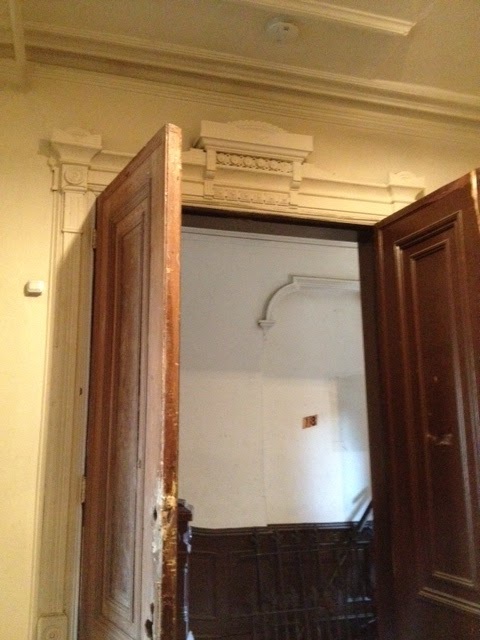 Or maybe you're ready to come with $999K cash for an SRO, like 69 Greene Avenue. But please don't use this as a comp when you're looking for that mortgageable sub-$1.5M gem. When you're buying a house 2 blocks from the Promenade in prime Brooklyn Heights, listed for $3.8M, why would you wanna see any interior pics of that? 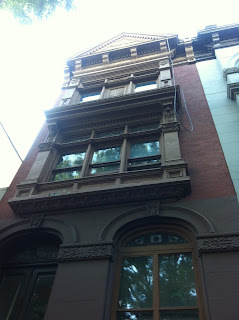 Or so assumed the listing broker of 102 Pierrepont Street. The lack of pictures made everyone assume it was a gut, when actually it was a totally turnkey little gem. The price dropped from $3.8M to $3.5M, and sold for $3M cash. A total steal. Yet, while everyone assumes agents don't market their properties because they don't know what they're doing, don't tell us this broker doesn't know what he's doing. He closed over $200M in deals last year alone. But, as we've seen over & over, people can't buy what they don't know is for sale. 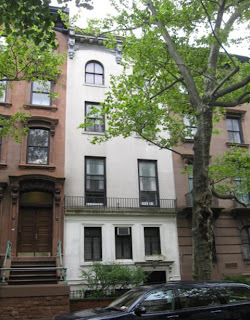 Which means 102 Pierrepont sold for a big number, but not the biggest number possible, because it wasn't marketed in the traditional channels where townhome buyers stalk their prey. 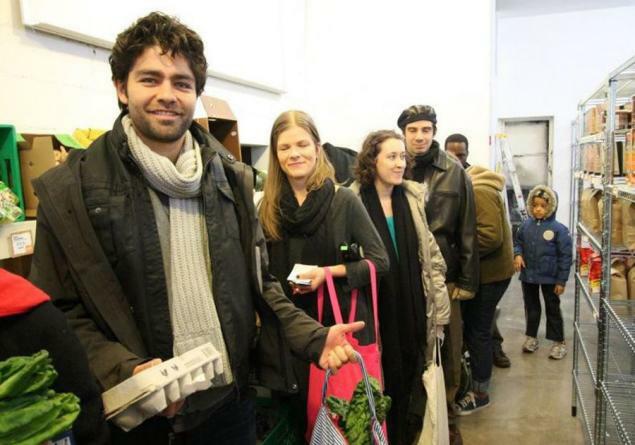 All points back to the inefficiencies of the market. Flippantly saying, "Dumb broker..." - as so many jaded buyers are quick to do - doesn't tell the story at all here. 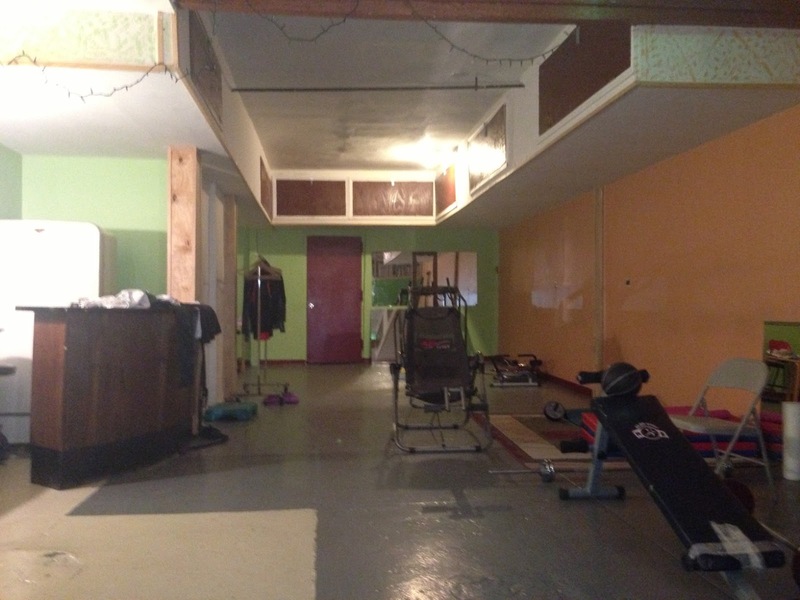 It ain't cheap, but there are certainly worse places all over town that rent for higher than $8,000/month. When the bat-signal goes out to Platinum Members on an under-marketed opportunity in Clinton Hill, it doesn't last long. 48 Downing Street wasn't on your StreetEasy or your New York Times, and had no interior pics to be found, which is exactly why it wasn't packed with 375 people at an open house like the property around the corner at 102 Gates. Luckily, there's more to life than Corcoran. We've seen under-marketed, off-market, and pre-market deals fall in the forest before. Were you there with us to catch them? It's not just in Crown Heights or in Bed-Stuy, even Park Slope trees fall in the forest! 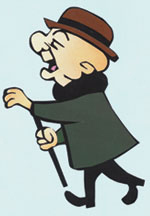 Novices blame it on ignorant or lazy brokers; and certainly that accounts for some of it, but that's a gross oversimplification. 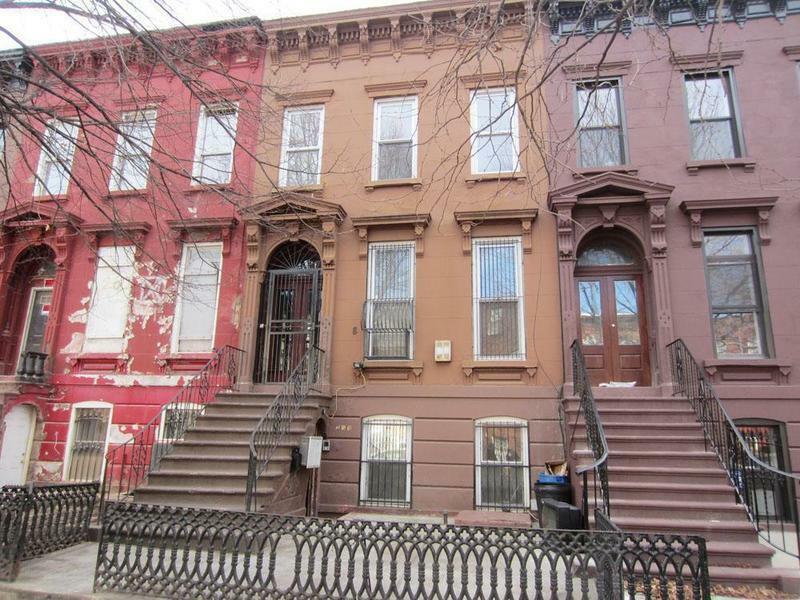 Even the top broker in all of Brooklyn leaves money on the table for clients when not marketing a property properly, as we'll see again tomorrow. Afterall, how are you supposed to buy something you don't even know is for sale? This is what happens in an inefficient market, folks. Multi-millionaires wandering the streets of the most populous borough in the richest, most populous city in the country - as lost & blind as Mister Magoo. When we heard that 48 Downing was available for $1.65M, needed $200K in work, and the deal could be financed, it was a no-brainer. Accordingly, it was swooped up in barely 2 weeks and is now in contract. 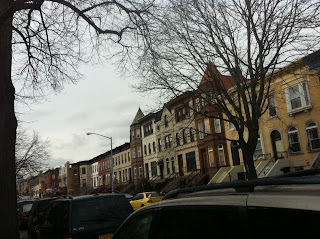 But the under-marketed opportunities in Clinton Hill and the rest of Brooklyn don't stop there. Frustrated that you can't find these opportunities served up on a platter for ya, or that you often hear about them from us after they're already gone? Don't blame us, we're not the ones being paid tens of thousands per transaction to bring top dollar to these sellers. It's a broker's world; we're just living in it. 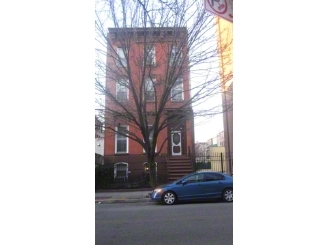 On Platinum Member radar since this time last year when 437 Greene Avenue sold in pre-foreclosure or auction for a way-discounted price as an SRO that needed a gut renovation and wanted to list for higher. 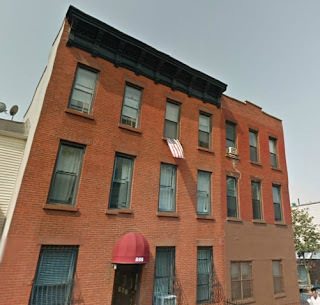 Fast-forward to this year, and a 4-story project delivered vacant between Bedford and Nostrand can command the price it once wanted and then some, yet still trade at a relative value. 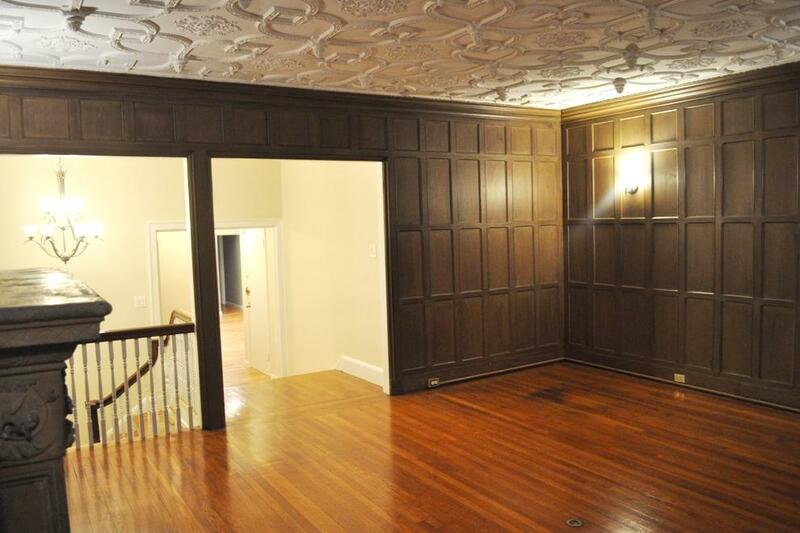 The $999K it took to get it done sounds high to those who don't know that even generically renovated 4-story brownstones over here fetch over $1.4M. Hear us now, or wait a few months for the comps - your choice. 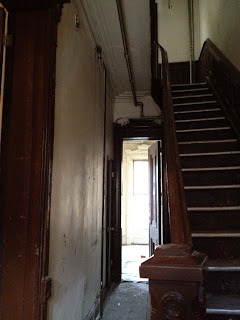 Seeing the inside of 437 Greene Avenue, we see it as the cousin to 201 Hancock. Rumors had it weeks ago that the sale was off for some reason, but the packed Corcoran open house and beautiful interior assured 261 Hancock Street would soar [above] its list price of $949K. It closed for $1.2M last month. 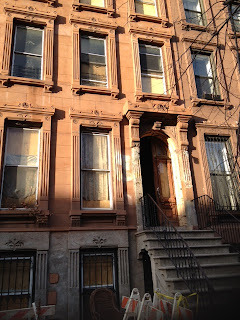 Along with the likes of 160 Hancock Street, the Bed-Stuy fixer-upper above $1M is firmly intact. 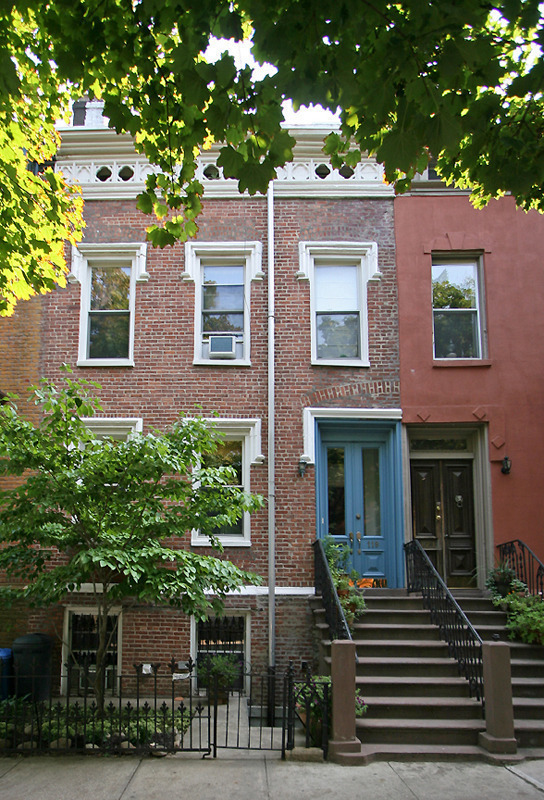 307 13th Street in South Slope sells for its asking price of $1.325M. Although, 972 square feet, really? They all tell us they want a finished multi-family under $800K that's west of Bedford. Try east of Kingston. The 3-story 1328 Bergen Street sold for $730K last month. 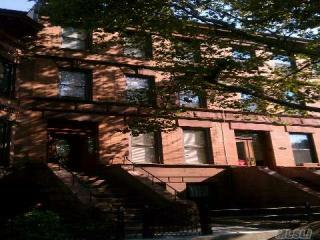 Clinton Hill still has value for what the rest of town wants around $1.5M, but you may have to go north of Myrtle to get it. 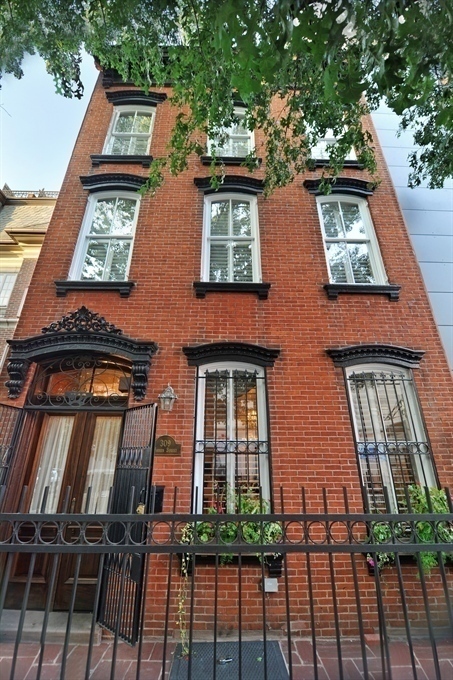 119 Vanderbilt Avenue got just under its asking price, closed for $1.55M last month. 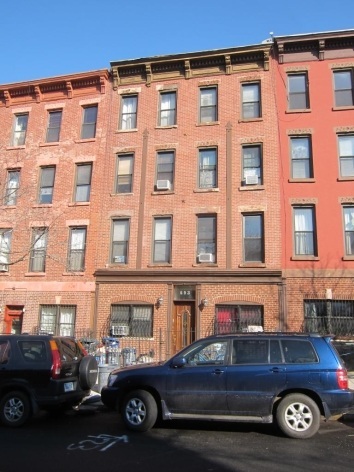 Over in Bed-Stuy, the 3-story 258 Monroe Street didn't even last a month on the market. Closed for its asking price of $749K. Or maybe you're more of the 309 Warren Street type. 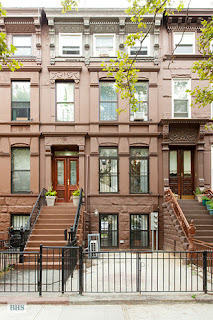 Listed just under $3M, and sold last month for $2.73M to Manhattan buyers. Still beats any pad in the West Village by a mile, so let's not exaggerate the implications of these pricepoints, people. Platinum Members are it again, taking down one of the niftiest looks in all of Crown Heights. Some tell us, "Nostrand is too far." We don't know what they're saying. Take a look around, this is value in the making. 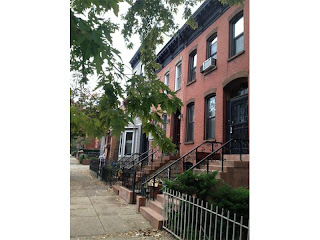 If the $700K+ condo game creeping towards Crown Heights has got you down, but you want to stay on a nice block near the train, want a yard, and rental income - how does a turnkey 4-Family townhouse on the same street for $725K sound? Yes, around the corner from a Corcoran bidding war well over $1M, there's still value for a more modest house on an FHA budget. 894 Sterling Place wasn't on your StreetEasy, your NYTimes, your Trulia, or your Zillow - you know - all those places the novices swear must be where all the listings are. Platinum Members digging a little deeper came up with a great house at a great value that was a win/win for buyer and seller. It's not the first time Platinum Members have dodged the masses at an NYTimes listing while a better value is right under their nose. 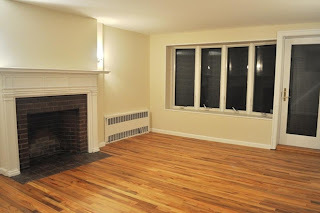 The buyers got a well-maintained property with the conversion to gas already done, the brick repointed, all on a legal 4-Family (the top floor studio is set back a bit, so you don't see it from street level). It's everything an FHA buyer (which is becoming increasingly near-impossible in this market) can ask for, and a home that'll pay dividends for years to come. 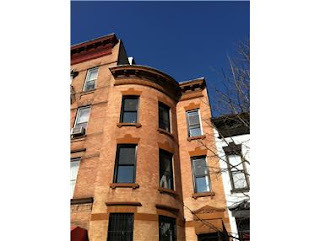 Platinum Members looking for a long time in one of our favorite neighborhoods made a great pick-up in prime Prospect Heights at 408 Park Place. After seeing some of the best fixer-uppers in the neighborhood picked up in cash deals on and off-market for lofty prices, they saw the value in a modest renovation on one of their favorite blocks. And who wouldn't wanna live on this block? 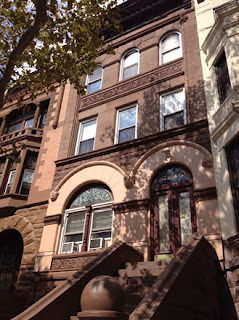 Around the corner from Kimchi Taco, PS 9, Prospect Park, the 2/3 trains, tons of commercial avenues amenities, the Brooklyn Museum, and a great kid-friendly parklette... if you don't know, you'd better ask somebody! 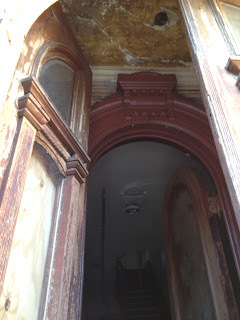 These aren't the most stellar pictures in the world, but if the "original period detail including crown molding, pocket doors, stained glass, exquisite mantels, parquet floors, skylights, pocket shutters and wainscoting" weren't enough for you - it gets better. 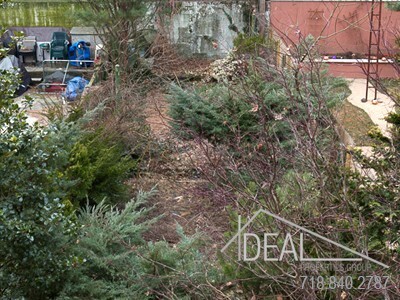 While a former SRO moves off-market with a shorter yard for a cash deal almost this high, these buyers wanted yard and they GOT ONE! 131' foot lot?? Yes, please. 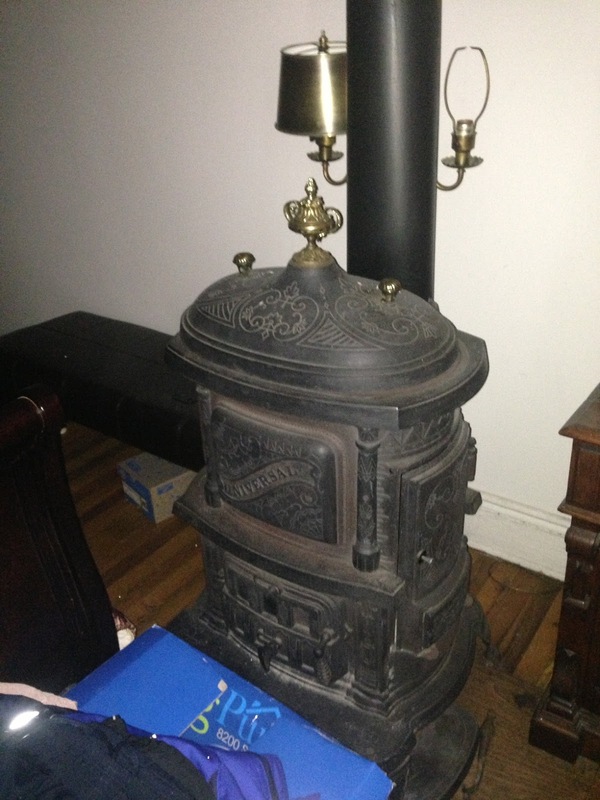 A great alternative to chasing cash deals over asking price at Corcoran open houses. If you liked 412 Sterling Place, but want a bigger yard and four stories instead of three, then 408 Park Place is the winner! 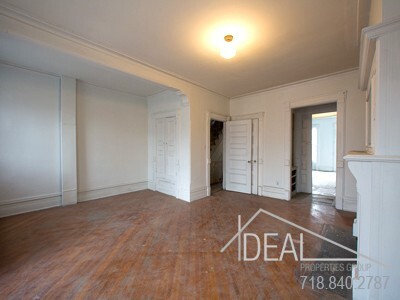 Millionaire buyers - richer than we'll ever be - begged us for comps to justify the price of this killer 2-Family in Bed-Stuy at 22 Arlington Place that was clearly the next shoe to drop. So we humored them. 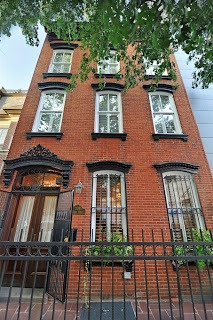 We told them about a recent sale on Monroe for $1.1M that this same listing broker couldn't fetch, but Corcoran could. We walked them over to 153 Hancock Street that was already in contract for over $900K off-market. Then we walked them into the open house for 201 Hancock Street, which would later have a contract at $1.1M fall through and sell for $999K cash. Yes, we told everyone that comps are a lagging indicator, and if you wait to see them, you'll be too late. The same folks whiffed at 1142 Dean just a few months earlier, and now the pay-to-play pricepoints in Crown Heights are up as much as as 50% or more. If anyone, you'd think it'd be the poor who would be neurotic about overpaying for things, but it's actually the rich who can't stomach thinking they overpaid for anything by a penny - even if they stand to make millions more pennies on the deal. People who make more in one month than most people make in a year needed hand-holding and reassurance that there was at least $200K in upside in this deal. (Afterall, the price had just dropped from $950K to $750K!) So we warmed up some milk, tucked them in, read them a bedtime story while they clutched their golden fleece binky, and we assured them the deal was sound. However, by morning they had crapped the bed, claimed there was something wrong with the neighborhood, or the house, or both. We figured, "No prob', we'll gladly put $200K in someone else's pocket." Little did we know, that number would be $300K by closing. Now 22 Arlington Place, which closed yesterday for $715K cash, is rumored to have people offering them $1M to take the restoration over as-is. Pre-renovation off-market offers of $1M, people! For the house it was pulling teeth to get over $700K offers to stick on at the end of the summer. Savvy buyers saw a good opportunity and seized the deal at a great price. After pulling off a solid renovation on Greene, we can't wait to see what they do with Arlington now. Another underground Platinum Member success story that you won't find on your StreetEasy, or your Zillow, or your Trulia, or your New York Times. 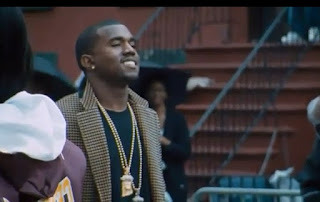 While some people were calling this "the ghetto", we think the Geto Boys put it best. We can't imagine how little one would know about the times in New York if all they read was the New York Times. Whether it's a million and a half dollar typo to the downside in an article on "Brooklyn's Gold Rush", or mistaking supply and demand for "buyer exuberance", or when they broke the story last year that Prospect Heights is across the street from Park Slope and a great alternative to the UWS - the NYTimes is proud to package what's been going on all along as "news". 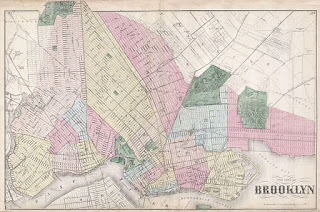 Now, they're all gassed up on how the 8 boudgie-approved neighborhoods in Brooklyn have expanded to as many as 12! And, many generations in the making, this today is considered news? Long before your grandma was a twinkle in your great-grandpa's eye, wealthy people were building mansions and living Downton Abbey style in macked-out 1 & 2 Families that were the 'burbs of Manhattan. Back when O. Henry was a writer, not just a candy bar, ballers flocked to the hills of Brooklyn to avoid the bustle of the city. 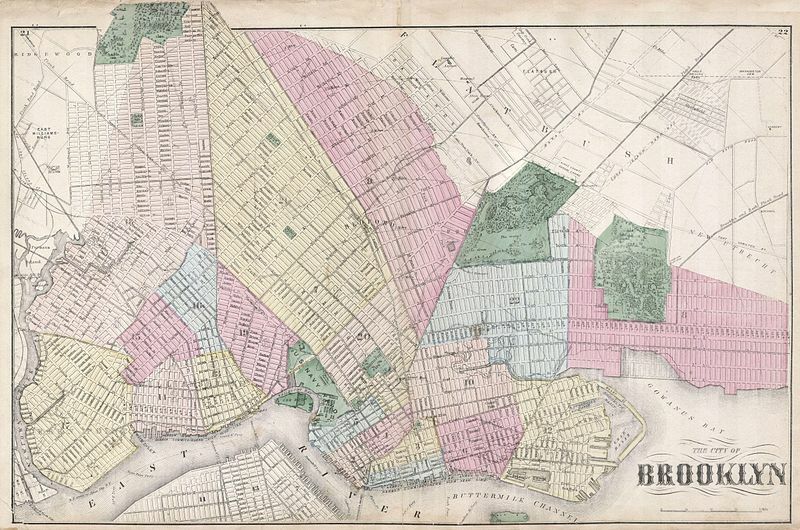 Fast-forward 100 years, and many of these neighborhoods (once left for dead) are making people's jaws drop to see prices that are still not only a fraction of Manhattan prices, but a fraction of the prices just a few miles further west in Brooklyn. The most populous borough in all of New York is just starting to catch up to the likes of Manhattan, and the whole world is struggling to understand it? The New York Times quotes many "median real estate price[s]" for these neighb's that have little or nothing to do with the actual prices people face trying to participate in these markets. 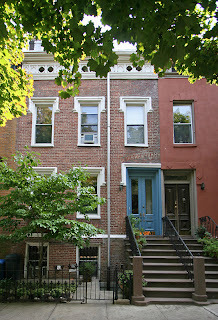 Really, $675K is the median in Boerum Hill?? 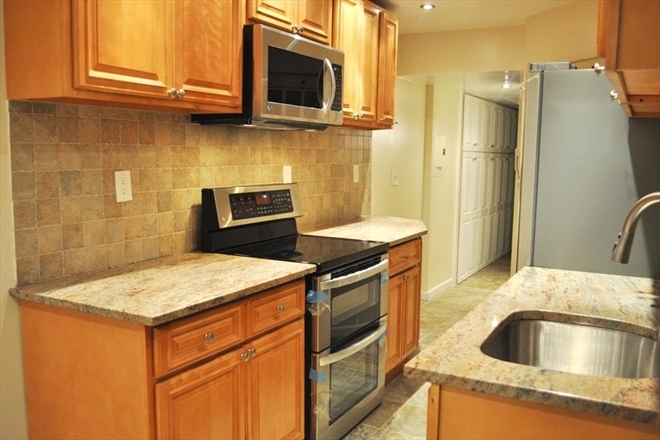 You can't even get a mediocre condo in Boerum Hill for that price. They even quote Williamsburg's median price as higher than Grammercy's. What in Grammercy can you actually get for $725K? They'll tell you Crown Heights is up 13.1% this year to a median price of $425K, but you'll be lucky to find a condo there for that price. Townhouse-wise, the rise feels more like 50%. 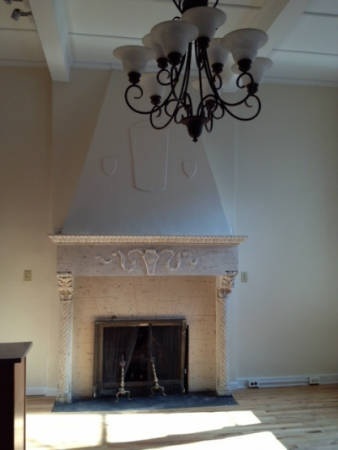 Just last year it was pulling teeth to get some millionaires to bid $900K on this straight-up castle in Crown Heights that was available off & on for months. It was easy to see that price was a steal when, during its listing, the house across the street moved well over a million. Now a house listed over $1.5M in Crown Heights hits the market in contract already. 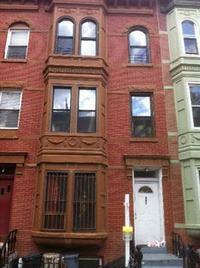 And just a year ago some of you still thought it was time to chase this price in prime Park Slope. 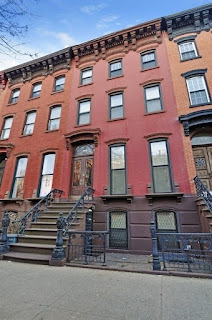 That's right, 633 St. Johns Place is just off of the bustling Franklin Avenue, and was never really available to the public unless, perhaps, you were one of the pocket buyers of these brokers. And who can blame them? REBNY obligates them to at least pretend to market it. But if you come to market in contract, the fix is pretty much in. This isn't the first time we've seen Elliman do this. 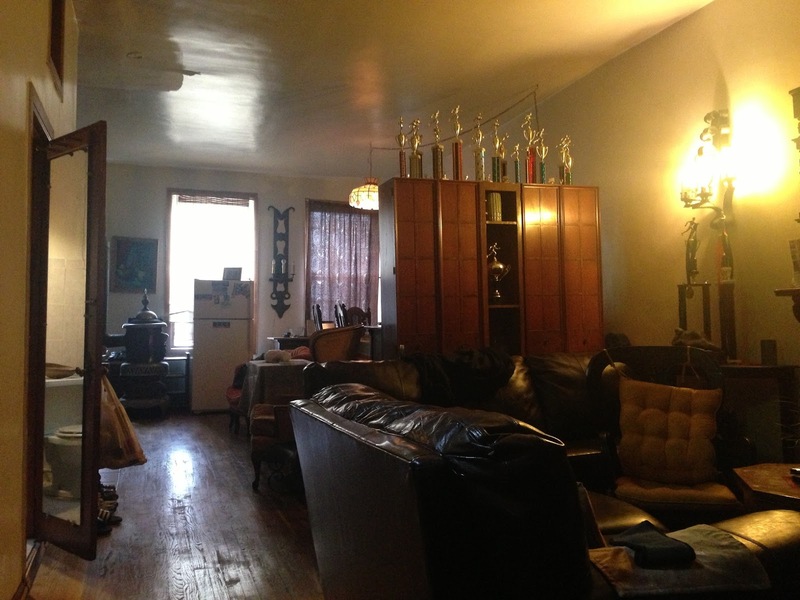 A local legend's house was sold by a "friend" for $200K-$250K less than its market value. We don't know anyone we call "friend" that takes a quarter millie out of our pocket, but who are we to judge? Yes, if you're a buyer who's underwhelmed by the efforts of a buyer's broker, realize that's because this is a seller's market. Buyers are a dime a dozen. Just ask the listing agents for 102 Gates. Brokers are chasing sellers. And when they finally get one, do you think they wanna make $90K on a $1.5M deal or $45K? You do the math. To some of you big ballers who tell us you won't even roll out of bed for $250K in upside in a deal, an extra $45K might mean a snack to you, but it means a big deal to them. [Some] listing brokers, who supposedly have a fiduciary responsibility to their seller, will go through pains to give advantages to buyers who aren't working with buyer's brokers because it makes the listing broker double the money. They'll do everything from giving private showings before the open house, to steering offers, to not even picking up the phone from other brokers to intentionally avoid a bid they're obligated to present to their seller if they receive it. Jeez, and you thought it was hard enough to find deals in this fractured marketplace, now you've gotta navigate this seedy underbelly of brokers out to double their commission? Welcome to Brooklyn. Ideally: if you still don't get the pricing, get with the times. Oh, and get on the pocket buyer list of some of these brokers! Over in Bed-Stuy, 296 Halsey Street - asking $920K, cruises to $980K. These are the comps people were asking for 6 months ago when trying to evaluate this boom in Bed-Stuy. Still one of the best looks under a million in all of Brooklyn. 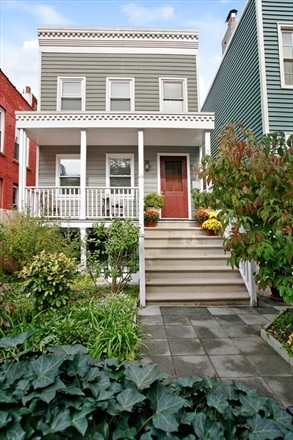 As we've seen for a few weeks now, another northern Clinton Hill play trades at a value. 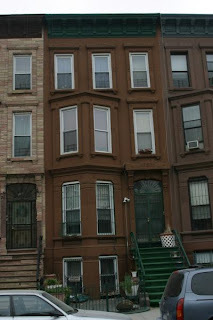 126 1/2 Washington Avenue sells for $850K. 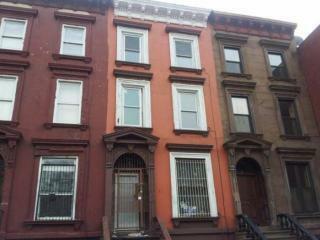 693 Union Street is a 25' wide 8-Family in Park Slope between 4th & 5th Avenues. 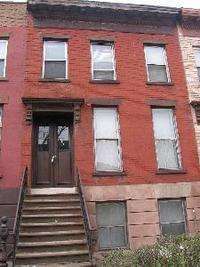 It sold for its asking price of $2M, a 5.4% cap. Meanwhile, the next-best buy & hold multi-fam's in this price range in Park Slope and Clinton Hill haven't even hit the market yet. A smaller 5-Family in Windsor Terrace goes for $1.4M at 288 16th Street. 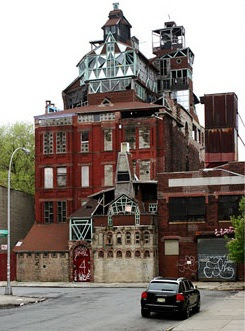 The iconic "Broken Angel" building sold in January in foreclosure for $2.05M and is now available for $4.5M. 4-8 Downing Street has got this existing structure and approved plans to build more. How to size up this price? Well, on a corner a few blocks away at 882 Fulton Street, 40K+ buildable square feet is up for the same price. But maybe the "Broken Angel" building trades at some iconic premium like the Triangle Sports building did? Afterall, even old-school locals in a bar in Crown Heights, just up the hill from Clinton Hill, get wistful when a music video with scenes of Bed-Stuy comes on. The streets these folks are always just a few blocks away from on the daily anyways suddenly become immortalized on the big screen. 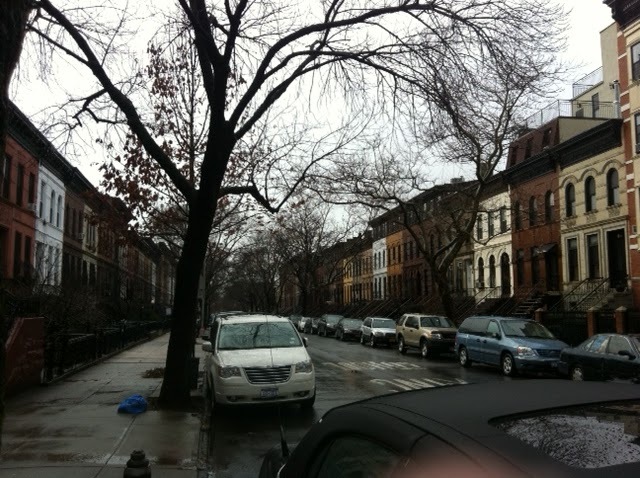 Likewise, this Clinton Hill corner will always be home of the fabled Chappelle block party. This isn't the first time we've seen someone dust off a hairy deal and remarket it for more. 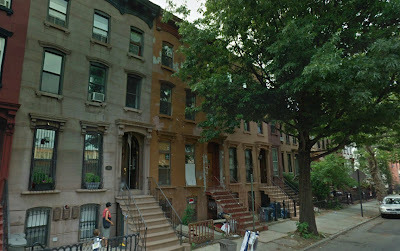 As gentrification plows east, and hundreds pack fixer-upper townhomes around the block from Biggie's block for well over a million, who wouldn't be bullish on decking-out 10 condos over here in this neat pocket of Clinton Hill? What do you ballpark those condos list for in the next few years? The long-gone next-best mini-development opportunity over here under a million gets to ride this same wave at a way lower cost basis. And lots of other smaller plays are scattered throughout the neighborhood still, for those of you who don't have the handfuls of millions it takes to consider this deal.